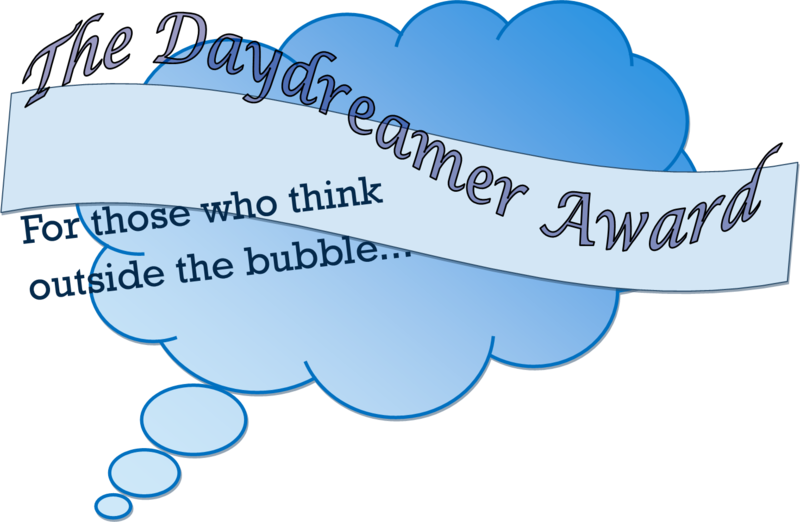 Every Sunday, I nominate new blogs for my award: The Daydreamer Award. This award is for the blogs that make you laugh, are inspiring, provoke your curiosity or are just unbelievably creative. Your challenge: If you had to be any character from a book, what character would you be and why? Click to check out previous nominees! Thank you so much for The Daydreamer Award! It has been a long time since I won an award ha ha! I just woke up (early Sun. morning here in Canada) and now I have to try and use my brain to come up with a character in a book. Maybe it can be non-fiction? I will get on this once I go and make tea. Have a great day, Cheryl and happy travels too!